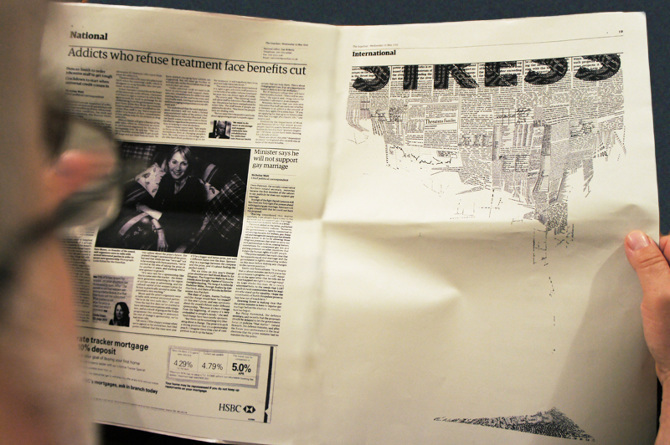 This graphic visualises the moment when stress turns into distress. Distress is a state in which person is unable to adapt to stressors and the stress resulting from them. Stress is an omnipresent topic which can be related to almost everything in the modern world. Stress is a way humans react to challenges and stressors. It can have very positive stimulating effects. When stressed, we tend to organize ourselves and our work to become more efficient. However, it can reach a point when to-do lists become more terrifyng than helpful and the intricate structure of our responsibilities, which we have carefully built, crumbles down. We then experience ecessive stress, that is distress.